A murder investigation has been launched after a popular Doncaster teacher died following an altercation in a nightclub. Lewis Siddall, aged 24, of Skellow, was found dead in his bed after he was assaulted at the VDKA bar on Silver Street in Doncaster town centre. Police have launched a murder investigation following the tragedy. A 22-year-old man was arrested on suspicion of murder and later released on bail. Tributes to the young teacher at Copley Junior School in Sprotbrough have poured in from parents and staff. Another tribute from one parent said Lewis was his son’s favourite teacher and shared his passion for Manchester United. One parent said her daughter thought of Mr Siddall ‘like a dad’ after a recent school trip. Doncaster cancer charity Eve Merton Trust also paid tribute to Mr Siddall after he raised cash for the cause. A spokesman said: “The charity was this morning shocked and saddened by the news. “Lewis, a teacher representing Copley Junior School, managed to raise and incredible £707 and his enthusiasm and excitement for the event made him a real joy to be around. Police are now seeking anyone who was in the VDKA bar between 11pm and 11.30pm on Thursday. It is believed Lewis was assaulted around 11pm inside the bar. 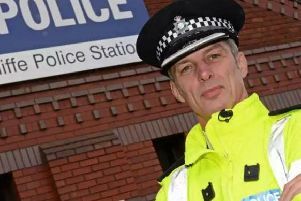 A South Yorkshire Police spokeswoman said: “The inquiry is in its very early stages and there are many more witnesses and lines of enquiry to pursue to ensure we establish the full facts about what happened to Mr Siddall. Officers are urging people to call 101 quoting incident 22 of 14 August. Alternatively or Crimestoppers anonymously on 0800 555 111.